According to the National Academy of Science, broccoli and broccoli sprouts contain the largest amounts of glucosinolates and sulphoraphane, which are potent inducers of enzymes that protect against chemical carcinogens and involve in liver detoxification. In its raw form, broccoli has a substance called myrosinase inside it, which converts to sulphoraphane when eaten. But if it’s cooked for more than a four-minute steam, broccoli rapidly loses this compound, along with it many of the health benefits. You can pair the broccoli with broccoli sprouts, mustard, horseradish, or wasabi—the spicier the better. Such combinations will provide more sulphoraphane than any one on their own. If you’re not a fan of culinary spice, you can use radishes, cabbage, arugula, watercress, and Brussels sprouts. Sulphoraphane from broccoli is efficiently and rapidly absorbed in our small intestine, then distributed throughout our body, providing really potent health benefits to many vulnerable tissues. The mechanism in which our cells detoxify potentially harmful compounds—including many cancer-causing substances (carcinogens)—involves a so-called Phase I component in the liver that’s associated with the Cytochrome P450 system. It is then followed by a Phase II component where the intermediate compound produced by Phase I is bound in a way that permits ready excretion. 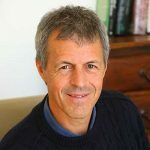 For a safe and efficient detoxification, toxins should ideally undergo a relatively slow Phase I reaction followed by a more rapid Phase II in order to prevent accumulation of the Phase I metabolite, which can be more toxic than its precursor. Sulphoraphane from broccoli extracts stimulates this system perfectly and powerfully. Sulphoraphane can slightly slow down some parts of Phase I, and also acts as an inducer of Phase II. The indole compounds (such as I-C-3 and DIM) from mature broccoli stimulate both Phase I and Phase II, which is less than ideal but still good for us. Of clinical significance is the finding that Phase II enzymes have a relatively long half-life, so that up-regulated expression of these enzymes can remain for several days. Thus just three serves of broccoli or sulphoraphane per week can have very protective effects, as shown in hundreds of population studies. Phase II enzymes are induced by a component called Nrf2, and sulphoraphane is a potent Nrf2 inducer. Consider Nrf2 as responsible for induction of a myriad of cellular defences [2b]. The downstream enzyme products of Nrf2 target genes are efficient and versatile. They include the glutathione and thioredoxin systems, the major cellular reducing or anti-oxidant systems in our body. Several reasons explain why Nrf2 induced enzymes are efficiency and versatility: firstly they are not consumed as they work as are direct-acting antioxidants such as vitamin C and E; secondly their duration of action is long with half-lives measured in days; and thirdly they restore the internally produced direct-acting antioxidants like coenzyme Q10 and the vitamin E by returning them to the active, or so-called reduced state. Another interesting interaction is with Vitamin D. Vitamin D’s protective effects on human cells are well recognized, and like sulphoraphane it touches beneficially upon many hundreds of genes. It is nutritionally significant that the vitamin D receptor (VDR) is a Nrf2 target gene inducible by sulphoraphane; in turn, vitamin D can increase Nrf2 expression so these two compounds are synergistically beneficial to health. So we have established some of the beneficial anti-aging effects via Nrf2 stimulation: animal and human studies show significant decline in Nrf2 activity between youth and old age. When several crucifers were compared for their Nrf2/NQO1 inducer effect, sulphoraphane returned ~33,000 units of NQO1 inducer activity per gram of fresh weight for broccoli, cabbage returned ~11,000 units, kale returned ~10,000 units, while turnip returning just ~2,000 units. [2c]. In short, Broccoli is the best mature vegetable to eat, but the sprouts are even better! As we will see from research below, our eyes, brain, lungs, breasts, colon and prostate as well as liver and kidneys gain benefits from the protection that sulphoraphane produce in our cells. The chemoprevention properties of sulphoraphane against cancer are through both “blocking” and “suppressing” effects . The “blocking” function of sulphoraphane is achieved through inhibiting Phase I metabolism enzymes that convert pro-carcinogens to carcinogens and inducing Phase II metabolism enzymes that promote excretion of carcinogens [3, 33]. Subsequent studies revealed the “suppressing” effects of sulphoraphane in modulating diverse cellular activities to inhibit the growth of transformed cells [3, 4, 5, 7, 8, 9, 32]. So sulphoraphanes block carcinogens  and suppress cells becoming cancerous, as we shall see in following research. [5b, 32]. There are many other positive breast-cancer related studies so these are a sample only. The findings provide evidence that two or more servings per month of cruciferous vegetables may reduce risk of prostate cancer, especially among men with GSTM1-present alleles, and are consistent with a role of dietary sulphoraphane as chemopreventive agents against prostate cancer. Broccoli extract also protects the lungs, potentially from cancer, certainly from pollutants. Translated, this means sulphoraphane protects the lungs from pollution and smoke. So it turns out that Broccoli sprouts are the richest food source of sulphoraphane, and these are proven to be cancer protective, and as we will see protect our eyes, kidneys, bladder brain, heart and nerves from oxidative damage. Furthermore sulphoraphanes protects the brain. Broccoli sprouts have helped many autistic young men, through improvements in detoxification, which is well documented as dysfunctional in autistics. Broccoli sprouts seem to help according to one study. In a placebo-controlled, randomised, double-blind clinical trial, daily oral administration of broccoli sprout extract for 18 weeks to 29 young men with autism substantially improved behaviour compared with 15 placebo recipients. 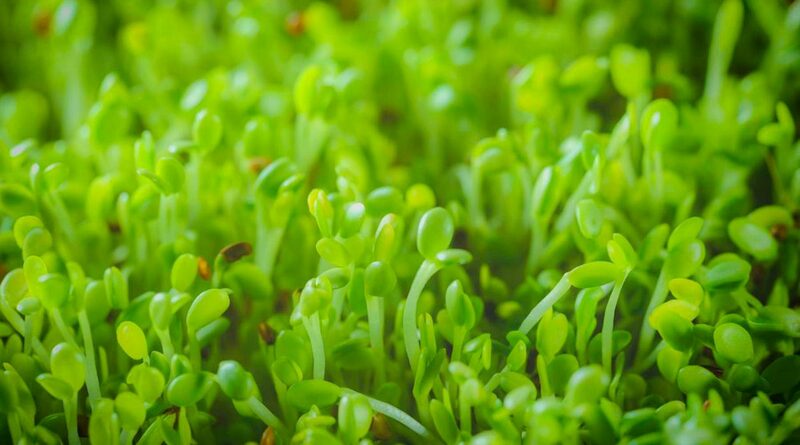 We can expect that broccoli sprout extract is able to protect nerves and improve the brains function for us all from these and other studies. For a technical look into the brain protective effects see the following article  which in summary says: “ the observed protective effects of sulphoraphane against brain oxidative stress are mainly associated with Nrf2 activation and the resulting upregulation of antioxidant cytoprotective proteins and elevation of glutathione. Traumatic Brain Injury – concussion – increases long-term mortality and reduces life expectancy. It is associated with increased incidences of seizures, sleep disorders, neurodegenerative diseases, neuroendocrine dysregulation, and psychiatric diseases, as well as non-neurological disorders such as sexual dysfunction, bladder and bowel incontinence, Alzheimer’s disease and systemic metabolic dysregulation that may arise and/or persist for months to years’ post-injury. Is sulphoraphane more powerful than antioxidant vitamins? That is a strong science-based statement by this respected Cochraine group. See the reference if you would like to see how extensive the research is behind the statement. Yet we know that plant-based antioxidants do protect from illness, and sulphoraphanes and the turmeric extract curcumin are the most powerful, as found in many studies some here reported. Natural carotenoids and natural vitamin E and C when found in food come in synergistic forms of several compounds – and are much more complex than synthetic vitamin A, synthetic beta carotene, and man-made tocopherols (most vitamin E) found in a standard vitamin supplement. I think the routine vitamin supplement if it is an antioxidant formula and not derived from foods is a waste of money. On the other hand, sulphoraphane from broccoli and curcumin from turmeric are among the best documented protective health inducers with proven anticancer and other health benefitting properties, and whose molecular mechanisms have been extensively investigated [32-38]. Compared with widely used vitamins or other phytonutrient or herbal supplements like curcumin, silymarin (milk thistle), and resveratrol (red wine extract), sulphoraphane more potently activates Nrf2 to induce the expression of a battery of protective genes and improves glutathione levels as part of this effect. Glutathione is the master anti-oxidant gobbling up and eliminating many pollutants, including air pollutants and heavy metals. Broccoli seed extracts are the most potent source of sulphoraphanes, and are easily obtained in capsules. Two daily, or even most days a week are highly effective at raising our cellular defences, so vital in polluted environments. Curcumin, the turmeric extract, is also excellent as a phytonutrient. Curcumin assists sulphoraphane, and it has more anti-inflammatory benefits, also thinning the blood in a safer way than does aspirin. Vitamin D3 is also synergistic with sulphoraphane, with its own immune protective and anti-cancer benefits being well established by hundreds of studies. I believe there is no other supplement can protect our health better than sulphoraphane from broccoli seed extract. 1. T. A. Shapiro, J. W. Fahey, K. L. Wade, K. K. Stephenson, and P. Talalay, “Human metabolism and excretion of cancer chemoprotective glucosinolates and isothiocyanates of cruciferous vegetables,”Cancer Epidemiology Biomarkers and Prevention, vol. 7, no. 12, pp. 1091–1100, 1998. 2. Jed W. Fahey, Yuesheng Zhang, and Paul Talalay. Broccoli sprouts: An exceptionally rich source of inducers of enzymes that protect against chemical carcinogens. Proceedings of the National Acadamy of Science September 16, 1997 vol. 94no. 19 10367-10372. [2b] R. Hu, C. Xu, G. Shen et al., “Gene expression profiles induced by cancer chemopreventive isothiocyanate sulphoraphane in the liver of C57BL/6J mice and C57BL/6J/Nrf2 (-/-) mice,” Cancer Letters, vol. 243, no. 2, pp. 170–192, 2006. [2c] K. N. Lewis, J. Mele, J. D. Hayes, and R. Buffenstein, “Nrf2, a guardian of healthspan and gatekeeper of species longevity,” Integrative and Comparative Biology, vol. 50, no. 5, pp. 829–843, 2010. 5b. B. S. Cornblatt, L. Ye, A. T. Dinkova-Kostova et al., “Preclinical and clinical evaluation of sulphoraphane for chemoprevention in the breast,” Carcinogenesis, vol. 28, no. 7, pp. 1485–1490, 2007. 7. Joseph MA, Moysich KB, Freudenheim JL, Shields PG, Bowman ED, Zhang Y, Marshall JR, Ambrosone CB. Cruciferous vegetables, genetic polymorphisms in glutathione S-transferases M1 and T1, and prostate cancer risk. Nutr Cancer. 2004;50(2):206-13. PMID:15623468. 8. Shivendra V. Singh, Sanjay K. Srivastava, Sunga Choi, Karen L. Lew, Jedrzej Antosiewicz, Dong Xiao, Yan Zeng, Simon C. Watkins, Candace S. Johnson, Donald L. Trump, Yong J. Lee, Hui Xiao and, Anna Herman-Antosiewicz. sulphoraphane-induced Cell Death in Human Prostate Cancer Cells Is Initiated by Reactive Oxygen Species. Journal of Biological Chemistry 2005: 280, 19911-19924. 19. Proc Natl Acad Sci U S A. 2014 Oct 28; 111(43): 15550–15555. doi: 10.1073/pnas.1416940111. 22. J. Zhao, A. N. Moore, J. B. Redell, and P. K. Dash, “Enhancing expression of Nrf2-driven genes protects the blood-brain barrier after brain injury,” Journal of Neuroscience, vol. 27, no. 38, pp. 10240–10248, 2007. 23. J. Xiang, G. N. Alesi, N. Zhou, and R. F. Keep, “Protective effects of isothiocyanates on blood-CSF barrier disruption induced by oxidative stress,” American Journal of Physiology, vol. 303, no. 1, pp. R1–R7, 2012. 24. Z. Ping, W. Liu, Z. Kang et al., “sulphoraphane protects brains against hypoxic-ischemic injury through induction of Nrf2-dependent phase 2 enzyme,” Brain Research, vol. 1343, pp. 178–185, 2010. 25. L. Soane, W. Li Dai, G. Fiskum, and L. L. Bambrick, “sulphoraphane protects immature hippocampal neurons against death caused by exposure to hemin or to oxygen and glucose deprivation,” Journal of Neuroscience Research, vol. 88, no. 6, pp. 1355–1363, 2010. 27 J. Zhao, A. N. Moore, G. L. Clifton, and P. K. Dash, “sulphoraphane enhances aquaporin-4 expression and decreases cerebral edema following traumatic brain injury,” Journal of Neuroscience Research, vol. 82, no. 4, pp. 499–506, 2005. 29. H. M. Park, J. A. Kim, and M. K. Kwak, “Protection against amyloid beta cytotoxicity by sulphoraphane: role of the proteasome,” Archives of Pharmacal Research, vol. 32, no. 1, pp. 109–115, 2009. 30. H. V. Kim, H. Y. Kim, H. Y. Ehrlich, S. Y. Choi, D. J. Kim, and Y. Kim, “Amelioration of Alzheimer’s disease by neuroprotective effect of sulphoraphane in animal model,” Amyloid, vol. 20, no. 1, pp. 7–12, 2013. 31. F. Morroni, A. Tarozzi, G. Sita, et al., “Neuroprotective effect of sulphoraphane in 6-hydroxydopamine-lesioned mouse model of Parkinson’s disease,” Neurotoxicology, vol. 36, pp. 63–71, 2013. 33. Y.-J. Surh, J. K. Kundu, and H.-K. Na, “Nrf2 as a master redox switch in turning on the cellular signaling involved in the induction of cytoprotective genes by some chemopreventive phytochemicals,” Planta Medica, vol. 74, no. 13, pp. 1526–1539, 2008. 34. Bjelakovic G, Nikolova D, Gluud LL, Simonetti RG, Gluud C. Antioxidant supplements for prevention of mortality in healthy participants and patients with various diseases. Cochraine Database of Systematic Reviews, 14 March 2012. 38. Dinkova-Kostova AT, Holtzclaw WD, Cole RN, Itoh K, Wakabayashi N, Katoh Y, Yamamoto M, Talalay P. Direct evidence that sulphydryl groups of Keap1 are the sensors regulating induction of phase 2 enzymes that protect against carcinogens and oxidants. Proc Natl Acad Sci USA. 2002;99:11908–11913. 39. Rebrin I, Zicker S, Wedekind KJ, Paetau-Robinson I, Packer L, Sohal RS. Effect of antioxidant-enriched diets on glutathione redox status in tissue homogenates and mitochondria of the senescence-accelerated mouse. Free Radic Biol Med. 2005 Aug 15; 39(4): 549–557.